During Fall 2017, I consulted with Dr. Linda Kinnahan from the Duquesne University Department of English on a semester-long project designed to introduce her students to digital methods, including network analysis. This course integrated data and goals from the multi-institution NEH grant-funded project Mina Loy: Navigating the Avant-Garde. Students focused on one figure throughout the semester with the goal of adding them to the project. Students began by researching their chosen figure and writing a detailed biography. To connect students from the different institutions, we decided on a collaborative open peer review system. I facilitated peer review of submissions by using a WordPress site and hypothes.is annotations. This method had some flaws, and would bear reconsideration in future iterations. In particular, implementing and documenting the hypothes.is technology for a cross-institutional audience proved challenging; although it may be the finest tool for the job, the time spent on this tool may not have aligned with the pedagogical goals of the assignment. While researching their figures, students also collected metadata (using a collaborative Google Sheet) to add to a collaboratively produced network graph. As these students were new to digital humanities methods, I focused on contextualizing the data that they were about to collect. I presented the workshop “Creating metadata for data visualization” (slides below) in order to give a brief overview of digital humanities methods, provide a framework for the project, and introduce the main concepts related to metadata creation. This session also included a hands-on portion where we went over the data dictionary and during which participants could enter metadata and ask questions in a group setting. In preparation for the next workshop, I loaded the students’ metadata into Palladio in order to walk through the process of creating the network graph. I also created a visualization of the data from all three schools for the purposes of connecting their work to the larger context. Image 1 depicts the network created using the students’ metadata. 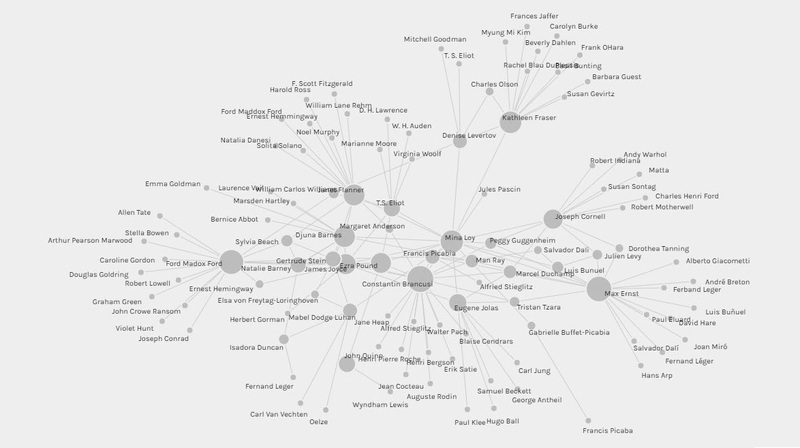 Image 2 shows the network graph created by students from all three participating institutions. Both images were created using Palladio. I also wanted to have an idea of the errors, slippages, and technological challenges inherent in using this data with this tool so that I could facilitate a rich and frank discussion about DH methods. I presented these images, as well as explaining and demonstrating how they were created, in the second workshop, “Data visualization through network graphing” (slides below). Students in the class were very engaged in the discussion of the benefits and potential drawbacks of this mode of analysis. Some displayed interest in tools with more robust functionalities, noting the relatively spare affordances of Palladio. They made astute observations about the elisions that we chose to make in creating the graphs for their class: most notably, the simplifications inherent in distilling relationships down to a set of controlled vocabulary options. The students’ feedback, in addition to displaying their engagement with the material, was valuable in terms of early peer review of the DH methodologies employed.